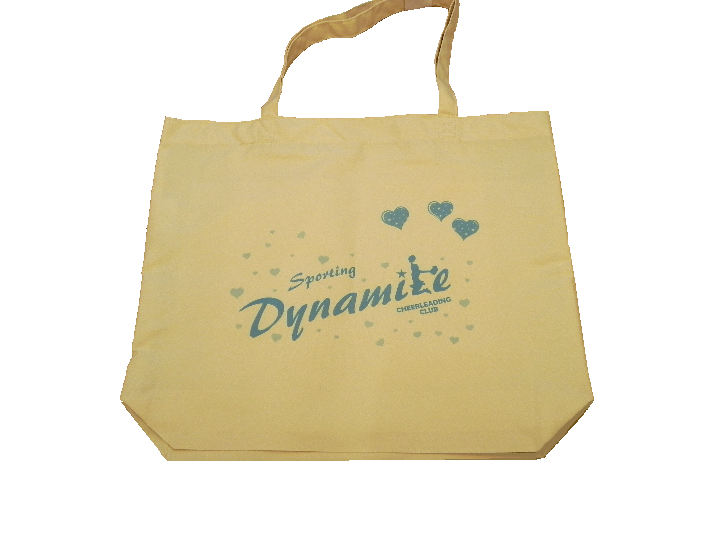 Our Tote bag is made from a quality rip proof nylon material in beige and measures 48.5cm x 41cm, it has twin handles and the Dynamite Logo printed on one side. Our Tote Bags cost just £7.00 each. 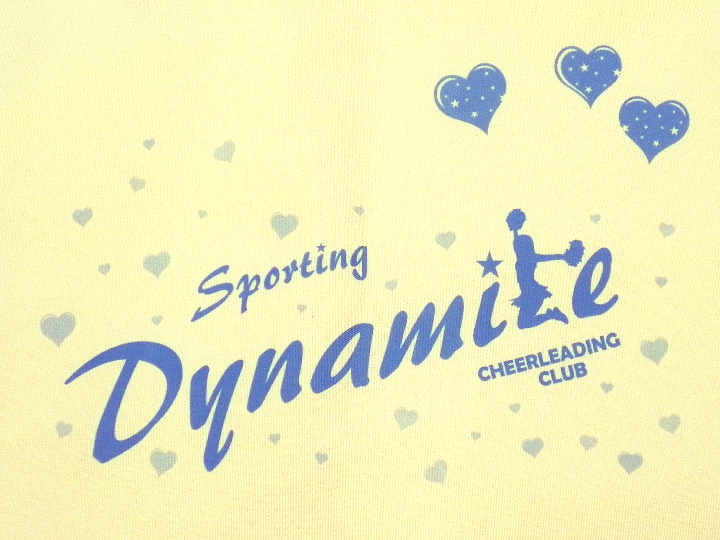 Front panel design: The Sporting Dynamite logo with several blue hearts spread randomly directly onto the beige background of the bag. Please note: these bags come complete with shoulder strap and printed front panel (on one side only).